There are six tightly packed maroon shirts guarding the penalty area and their clean sheet. The crowd packed into the Estadi Montilivi, the home of Girona FC, are perhaps more hopeful than expectant. The noise swings from an excitable buzz to fervent roars throughout the 90 minutes, and it reaches the latter on 53 minutes. The ball is chipped delicately over the onrushing Venezuelan guard to Martín Montoya and his cushioned first-time pass finds Stoke City’s Bojan, who walks the ball into an unguarded net. The goal is reminiscent of the fluid, elegant passing moves from Girona’s Catalan neighbours down at the Nou Camp. The Montilivi erupts. The party lasts about six minutes. Venezuela push on and, after a mix-up between Montoya and Victor Sánchez, Rosales steered the ball into the net: 1-1, as the mood swings back from expectant to hopeful. But those in yellow and red keep going, as Faríńez blocks shots away from all corners of his Venezuelan goal. 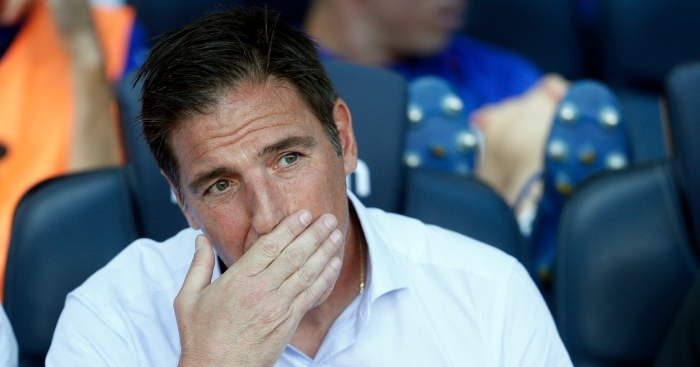 His resistance is broken again after 88 minutes; Espanyol’s Javi Puado capitalises on a loose ball and fires it into the far corner, as the crowd come together in a rapturous chorus. They are here to proudly celebrate their region, and are here in huge numbers – these games don’t come around often. 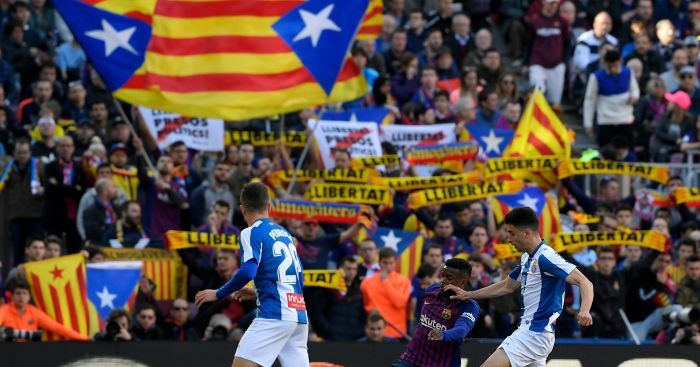 For these fans are not here for Girona FC, or Barcelona, or even the Spain national side – they are draped in the red, yellow and blue of Catalonia. Spain is a country largely made up of distinct regions with distinct identities, who are adamant about expressing their own individual pride and culture: Catalonia is one of 17 comunidades autónomas. Lots of the other regions in the country, including the Basque country and Andalusia, play regular matches. These matches are usually played amongst each other and in the off-season. Catalonia’s game against Venezuela was the first of theirs to be played in an international break. These matches rarely draw much interest outside of Spain; perhaps this is why an emailer to this week’s episode of The Mailbag, the correspondence-led show from the On The Continent podcast, was surprised to learn they played at all. In their 119-year history, the Selecció de futbol de Catalunya have played nearly 200 fixtures against a variety of opposition. These games are not among the elite – the region is not affiliated with UEFA or FIFA, meaning its games are not competitive fixtures. The curious avoidance of some eligibility rules arise as a result – players who have already played for an international body governed by FIFA can still represent Catalonia, but their domestic clubs are not obliged to release these players to do so. Such was the case in the lead up to the Venezuela game; Xavi (yes, that one), who was keen to come out of international retirement and play again for his native Catalonia, was not released by his Qatari club, Al Sadd. He can add 12 international appearances for Catalonia to the 133 he made for Spain whilst at the forefront of FC Barcelona’s dominance through the last 15 years. This connection between Catalonia and FC Barcelona has run deep for decades, and reached fever pitch during the strife surrounding the Catalan move for independence in 2017. At every Nou Camp match, at 17:14 exactly, cries for independence can be heard around the stands. The tradition refers to the year 1714, where the region was lost to Felipe V, the king of Spain. Many of the Blaugrana have a passion for FC Barcelona that borders on, and sometimes undoubtedly is, utterly obsessive. Those who call for the region’s independence have beliefs equally as deeply ingrained. The Spanish nationalist regime of military dictator Francisco Franco began in 1939, and lasted for over 40 years until his death in 1975. Any references to individual regions’ languages or customs were made illegal, and support for regions like Catalonia was pushed into increasingly isolated areas; the Nou Camp was one. Franco pinned his support to Real Madrid and, as a result, iterations of El Clásico throughout this period were more than just a rivalry on the pitch. They seemed to represent the two political extremes; the fascist establishment in the nation’s capital on one hand, and the anti-establishment Catalonian support on the other. To explore this rivalry, which mirrored the rivalry between the Catalans and Franco’s oppressive ruling, gives an indication as to why Catalan people identify so strongly with their home territory as its own entity, rather than as a part of the wider nation. In the 1969/70 season, Barcelona and Real faced off in the quarter-finals of the Copa del Generalísimo. Tensions reached an unprecedented high, which cemented the rivalry; after a 2-0 win in the first leg at the Bernabéu, Madrid were awarded a dubious penalty in the return fixture. Manuel Velázquez was brought down while through on the Barcelona goal by defender Joaquim Rifé and, despite the foul being a few metres outside the box, a penalty was awarded. Real scored, and the tie was over. The crowd threw 30,000 cushions onto the pitch in protest as Barcelona players threatened to walk off in protest. The game was ended after 85 minutes. With the intensification of the rivalry came the intensification of the Catalan peoples’ support for their region. The rivalry between the cities even spread into the mainstream political sphere in 2017 when, after the Catalan government staged a referendum, they announced their independence from Spain, only for the Spanish government in Madrid to reject the claim and arrest those involved. Throughout Franco’s reign, Catalonian people could only truly show their pride for their region within the walls of their 99,000-seat cathedral. The support for FC Barcelona and the Catalonian team became a form of escapism from the stresses and monotony of everyday life. Joan Laporta, the club’s president from 2003 to 2010 who broke the record for votes received as a presidential candidate, promised to tie FC Barcelona to its Catalan roots. His success points to the connection that Catalonians have in supporting FC Barcelona as a form of regional pride. Laporta’s promise did not go unfulfilled. He gave his first press conference in Catalan, and even recommended foreign players joining Barça learn the language – Samuel Eto’o was once forced to apologise for responding to a Catalan journalist in Spanish. Laporta was advised, by Johan Cruyff no less, to promote Pep Guardiola, who transitioned from a perennial winner as a player, to coaching the B team and finally the first team. Guardiola is every inch a Catalan – he played seven friendly games for the region from 1995 to 2005 and is a vocal supporter of the region. With three more appearances for Catalonia, Gerard Piqué is somewhat of a modern equivalent of Guardiola. He made his tenth appearance against Venezuela in March, and received a hero’s reception when substituted. This marks a stark contrast to how he was treated by Spanish national team fans in recent years. With his support for his home region becoming more vocal in the last few years, Piqué has been the subject of relentless boos and whistling wherever the Spanish team played. After retiring from the Spanish national side last summer, Piqué’s loyalties now lie with this Catalonian side. 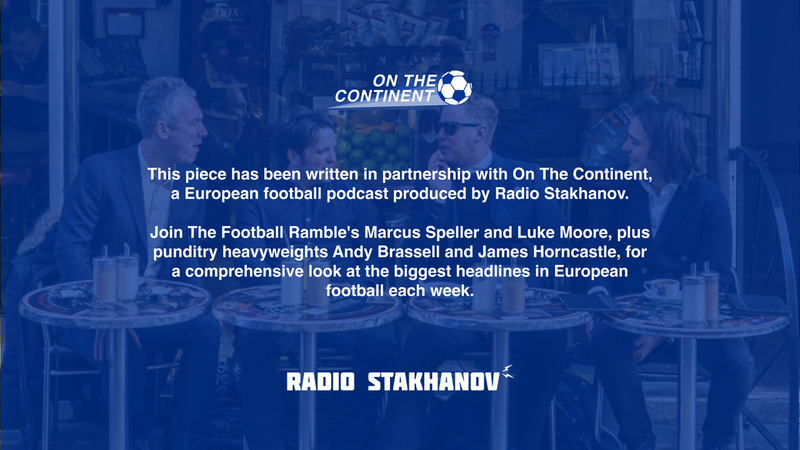 To listen to On The Continent, the European football podcast by On The Continent, click here. To listen to La Liga Lowdown, the English-speaking football podcast about Spain’s premier football competition, click here. Are Athletic Club slipping towards the unthinkable?